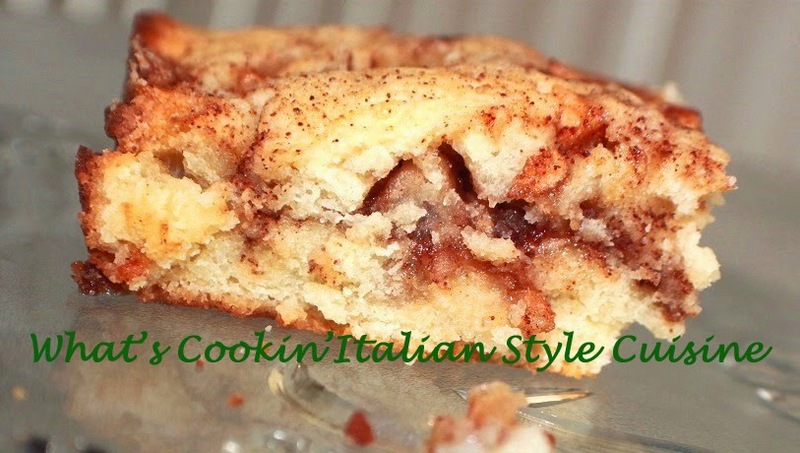 Here is a perfect coffee cake with wonderful a rich apple cinnamon swirled throughout the cake. It's easy, quick to put together and made from scratch! Really it's easy take a look at the video instructions with some tips on how to make this tender coffee cake that's not dry and perfect with for you when craving a sugar fix. Whenever I want a comforting almost dessert that's homemade, quick and easy this is my go to recipe. You will be pleasantly surprised how easy this is, don't be afraid of that word scratch coffee cake, sure it's a little heavier but that's how they'll know it's not a mix. Place the cubed apples into the brown sugar and cinnamon mixture. Grease a round or square cake pan 9 or 10 inch. Preheat oven to 350 degrees. In a small bowl mix the brown sugar and cinnamon set aside. In another bowl beat together butter and white sugar until light and fluffy around 4 minutes. Add the eggs, milk and almond extract. Beat in the flour, baking powder into the butter mixture. Spread half the batter on the bottom of the pan using a spoon or your fingers, top the batter with half the apple mixture. Next add more batter on top spreading out and then the rest of the apples on top. Push the apples into that top layer with the back of a spatula or spoon. Note: You can make extra combination of brown sugar and cinnamon to sprinkle on top before baking (1/3 cup brown or white sugar to 2 teaspoons cinnamon ). It makes this cake much sweeter which I do not prefer, that is optional. Bake at 350 until the middle is set around 35 to 45 minutes or use toothpick method. 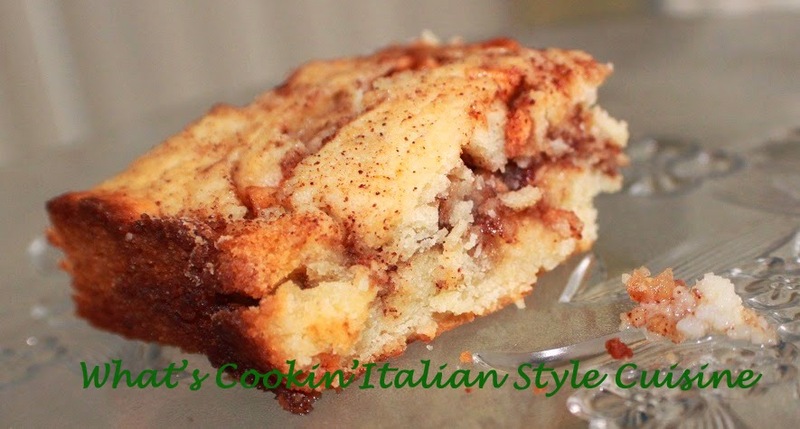 You can serve this as is, with ice cream or whipped cream if you want a fancier coffee cake.